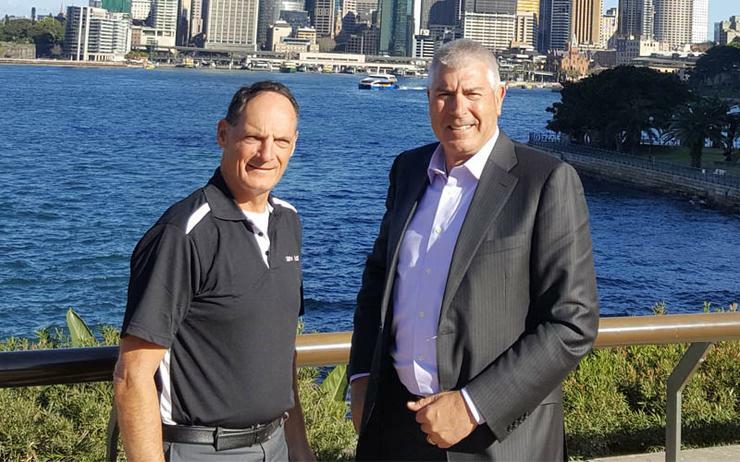 Savvius is making a bigger push into the Australia and New Zealand market, with the appointment of inTechnology Distribution as its distributor for the region. As per the agreement, inTechnology Distribution will become the network vendor’s primary distribution partner across the region and will distribute and support the full range of Savvius’ products, including Savvius Omnipeek, Savvius Omnipliance, and Savvius Insight to resellers and solution providers. Savvius, which was formerly known as WildPackets, rebranded in April 2015 as a result of a bigger play within the security space and expanding on its core competencies of packet analysis and network forensic analysis. “We’re extending away from the traditional customer base that we had and rebranded ourselves to move away from being a solely technology driven company to one that is led by an ecosystem, looking to solve bigger and larger problems for our customers,” Savvius vice-president of worldwide sales, Patrick Johnston, told ARN. Johnston said that Savvius reset its focus on A/NZ, as the region stood out as one of the underrepresented territories with potential. According to Johnston, inTechnology was picked for its long history with partners and customers in the networking and service provider marketplace and has a commitment to customer service that aligns well with Savvius. He added that the company is making “significant investments” into inTechnology, in terms of sales and support resources, more so as it as it casts its eyes from enterprise to include mid-sized enterprises and small- to medium-sized businesses (SMBs). Savvius’ STAP partners include: Cisco, Gigamon, Ixia, Elastic, Palo Alto Networks, Datacom Systems, IBM, CheckPoint, Fortinet, Hewlett Packard Enterprise, Procera, Aruba, Ekahau, Meru and Extreme Networks, amongst others. inTechnology Distribution CEO, Mark Winter, said the vendor’s portfolio fits in well with its current line-up. “inTechnology has built up a very strong networking and Wi-Fi technology portfolio and not only does Savvius fit into this perfectly, their technology also adds strong analytic and forensic capabilities to our product offering for partners across the region,” he said. The company's chief commercial officer, Phil Lancaster, was also recently appointed as A/NZ channel manager to support this new relationship with Savvius and to focus on building a strong channel in the region. Savvius has also rolled out its two-tiered PartnerONE partner program, a multi-level program focused on supporting channel partners with front-end deal registration to increase margins, sales tools and customised on-site and online sales and technical training. “We needed a fully executed two-tiered distribution model, where we’re aligning with not just technology partners but also solution providers, value added resellers (VARs), and system integrators. That’s why we launched the partner program,” Johnston added. As part of the program, partners will also get access to inTechnology for three levels of service desks for mutual customers. “We’re looking for specific partners that are working in either geographical areas or vertical markets like networking and security. They also need to have the right technical skill sets to fit us, and we’re already in discussions with some of the larger integrators in the market,” Lancaster added.